Join us for a day of swinging axes and kicking crampons on beautiful ice! In this tour, first time climbers will be introduced to the basic climbing techniques and safety practices before giving it a go. More experienced climbers will be guided up the finest ice climbs matching their ability. 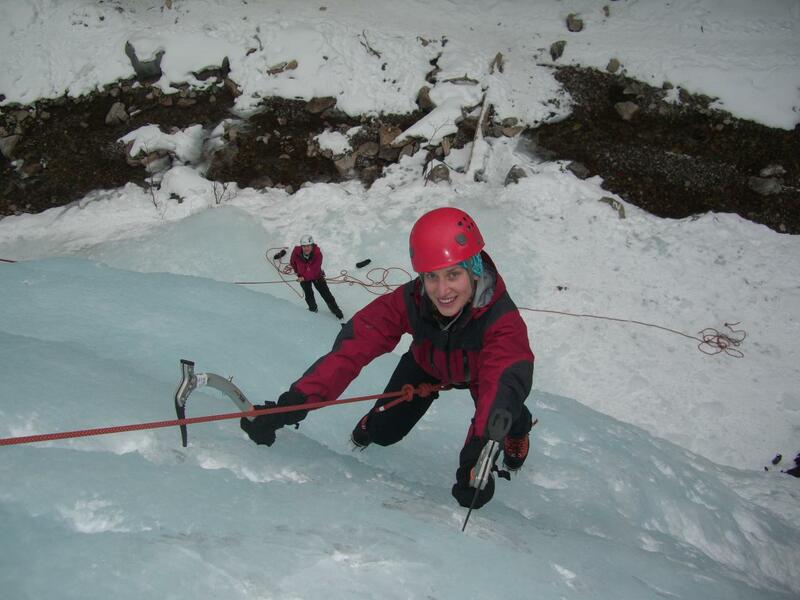 There are a variety of pure ice and mixed climbing spots in the Whistler area for you to enjoy. Some climbing locations require a lift ticket. Lift tickets are available through our office. No experience is necessary, however, moderate fitness and agility is required. Previous climbing experience an asset. Suitable for most adventurous children ages 12 and up. Our main climbing location is accessed by skiing in and out and requires a Whistler Blackcomb lift ticket. Please let us know if you do not have the ability to ski in and out and we can get you set up with a Whistler Blackcomb backcountry lift ticket for the day. All other climbing locations are located outside of Whistler Village.